Final Round 2019 is running through its final day of competition with tournaments big and small bringing together players from every corner of the globe to compete in their favorite titles. We've already covered the character usage statistics for the headlining Street Fighter 5 tournament, but now we're back to look at the other Sunday games with Tekken 7, Super Smash Bros. 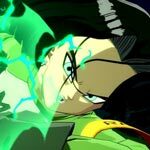 Ultimate and Dragon Ball FighterZ where new DLC characters have come out to play with the top players. Tekken 7 featured 35 characters in the top 64 where all Season 2 characters have made an appearance at one point or another with Armor King, Julia, Negan, Anna, Lei and especially Marduk, who had four players in the top 16. Nina and Asuka have ended up being the most popular fighters to use overall, however. Super Smash Bros. 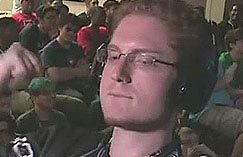 Ultimate was the most diverse by far with only three fighters being mained by multiple people in the top 32 with Sonic, Wolf and surprisingly Samus of all characters. 28 different characters were used during Dragon Ball FighterZ top 32 which is fairly impressive though almost a dozen players each used Bardock and / or Goku. Four Videls made it to the top part of the bracket including EG|NYChrisG and FOX|SonicFox, and one Jiren also rose the ranks. 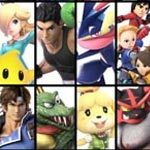 Hundreds upon hundreds of players have gathered to show their best, and you can check out which characters among them have been most popular this weekend in the usage breakdowns below. Numbers listed in parenthesis represent side or back up characters as listed in the results.